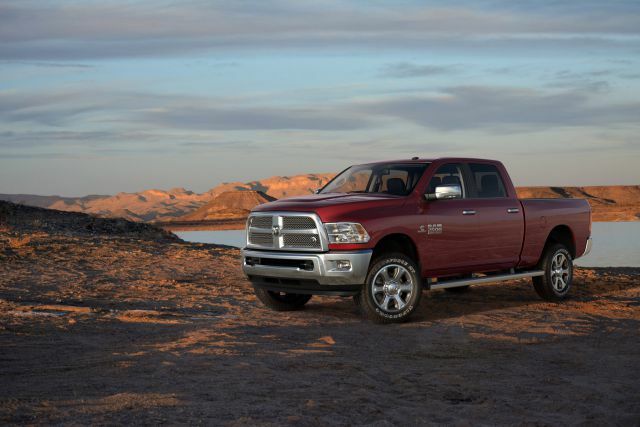 The Ram Power Wagon is a heavy duty truck that is on the markets since 2005. Just like the Jeep Wrangler, this model was used as an all-terrain carrier for the weapons by U.S. Government. It was large enough to carry more heavy cargo, but than again, enough small to beat all types of terrain. 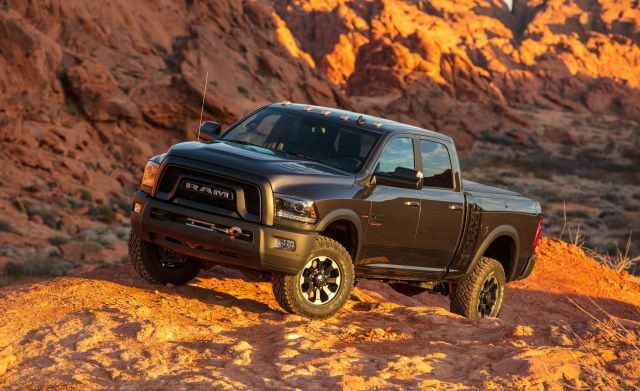 Now, the 2020 Ram Power Wagon is coming to the markets with loads of features and innovations. The fresh look and interior enhancements should help in order to compete with the rivals. 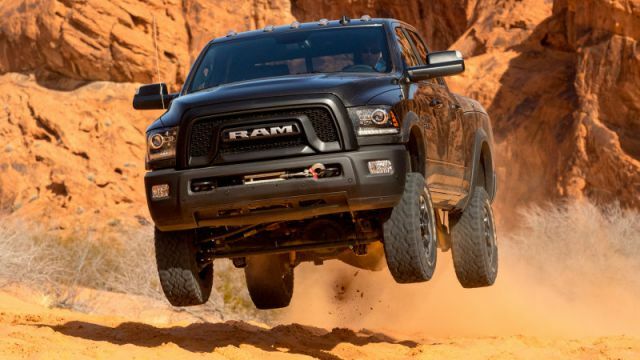 The biggest changes to the 2020 Ram Power Wagon model happened outside. 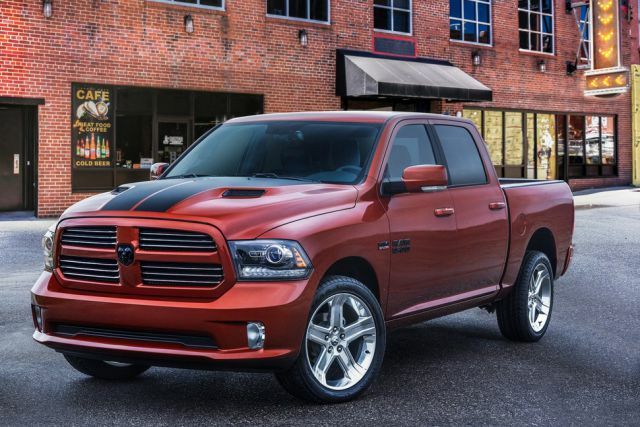 Ram always looked like a rebel, and now it looks even more, but we can describe this truck like playful. The front grille is massive and the RAM letters are in the middle of it. Block lettering replaced badges on that kind of spots, something Ram is doing over the years now. Black accents are all over the body with black mirrors and black bumpers as well. Both front and rear bumpers are coated in order to increase protection against rocks. The macho appearance of Power Wagon is boosted, even more, thanks to a fender flairs that give this truck a wider appearance. Power Wagon is available in two-tone paint scheme, and the combination of red and white is a very popular choice. At the back, RAM lettering is placed above the tailgate, while Power Wagon name is down below in the form of a sticker. 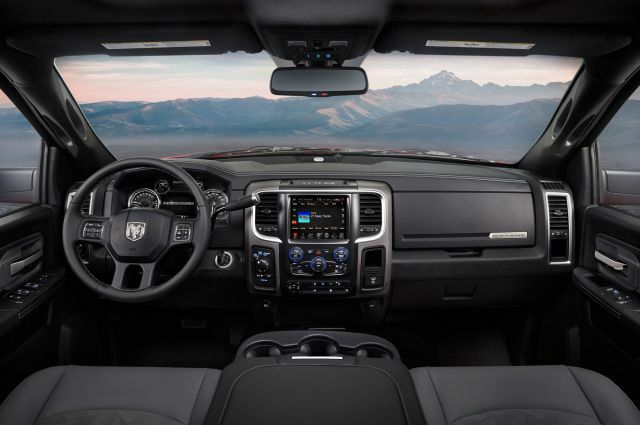 The interior of the all-new 2020 Ram Power Wagon is coming with more youthful appearance. The materials inside the cabin are now available with more aluminum accents, especially around the dashboard. All seats come with Power Wagon name on them, while the logo is inside the gauge cluster. While there are now trim levels available for this truck, there are plenty of packages available. Power Wagon Equipment group is one of them, and it provides vinyl floor covering and 5.0-inch Uconnect system. The 8.4-inch Uconnect system is optional. If you opt for the most comfortable option, then Leather and Luxury package is the thing for you. It cost additional $5,000 and it brings leather seats, auto-dimming mirrors, Alpine sound system, luxurious door panels, a heated steering wheel and some exterior features as well. There is also a huge number of USB ports available, and power ports are there with a 110-volt outlet. 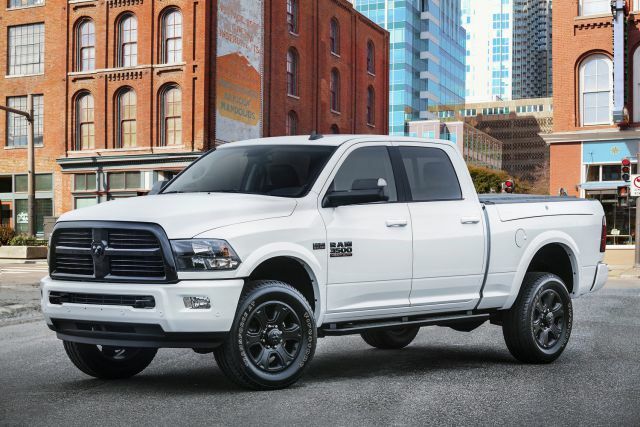 The approaching 2020 Ram Power Wagon comes with the largest gasoline engine in the heavy-duty pickup segment. It is a 6.4-liter Hemi V8 powertrain with 410 HP and 440 pound-feet of torque. This engine uses a combination of some old-new technologies in order to generate more power and long-term dependability. But don’t get carried away, power is still the main threat. This unit comes with an automatic six-speed transmission. The gearbox is electronic and shifting gears up and down are smooth. The starting price of fresh 2020 Ram Power Wagon is around $53,000. Have in mind that the Leather and Luxury package cost an additional $5,000. If you are a fan of an upscale ride, we highly recommend this package. 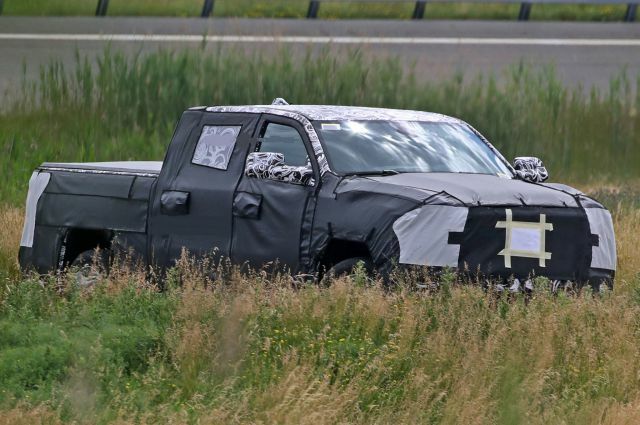 While there is still a lot of work to be done, we can expect Power Wagon at the end of 2019, as a 2020 model.